THE FAMILY living in the first UK house bombed from the air can expect a media explosion this week. 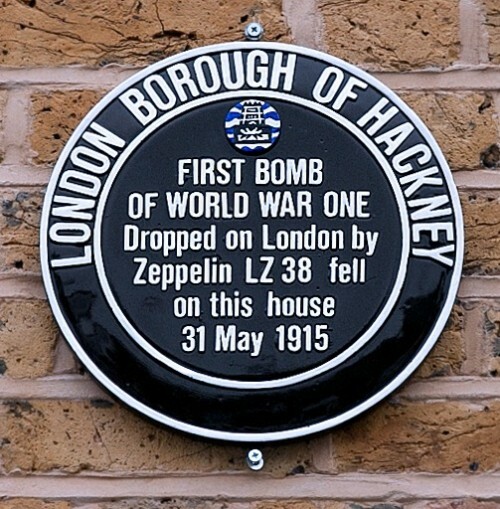 Yet until Loving Dalston spoke to the owner he was unaware the council had organised a ceremony at his home to commemorate the Zeppelin raid, which happened on 31 May 2014 at about 11pm. A brown council plaque, left, will be unveiled on Friday 29 May 2015 to commemorate the centenary of the dropping of the bomb, below left, by the Luftschiff (airship). Surveyor Imran Sidyot said a council official had been to the house at 16 Alkham Road, Stoke Newington N16 7AA, pictured, several times but nobody had told him of the event scheduled outside his house and liable to attract camera crews and reporters from around the world. He asked not to be photographed. 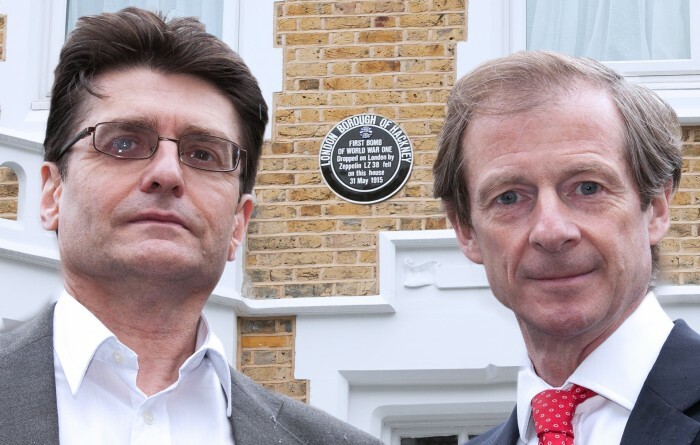 Still, he said, it was “great” that Hackney was marking the centenary with a plaque. He added: “It is important that we take our history and its monuments seriously. 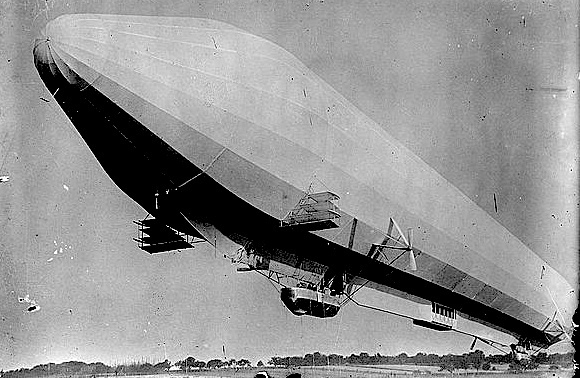 Kaiser Wilhelm II, the German ruler, had banned the use of Zeppelins against England — “a Christian nation” he noted — and the future King George V was his cousin. But in January 1915 he gave into the arguments of his military advisers and a great airship lumbered among the clouds over London before throwing down its first bomb. At 16 Alkham Road, the Lovell family were unharmed, but minutes later three-year-old Elsie Smith was burnt to death under a bed in her Cowper Road, Hoxton home after another bomb. Ian Castle, author of Campaign 193: London 1914-17: The Zeppelin Menace, said: “When I approached Hackney council just over a year ago about a new plaque to mark the centenary of the first London air raid, the idea received immediate support and my research as to the point where the first bomb fell was welcomed. * Thanks to Library of Congress for the Bain News Service pic of a passenger Zeppelin and to Hackney council for the pic below.